On Monday 15 October 2018, at a conference in Hargeise attended by representatives from UNICEF, WFP, FOA, Global Affairs Canada, members of the Somaliland government, the Government of Canada announced a $10 million investment in support of development programs in the Republic of Somaliland. Although Canada is not officially recognising Somaliland’s independence, the current government is stepping up Canada’s engagement and improving relations. Sara Hradecky, Canada’s High Commissioner to Kenya, Rwanda, Burundi, South Sudan and Somalia payed a visit to Somaliland in February 2018, the first Canadian senior diplomat to do so. The Government Canada is providing $10 million to support development programs in the Republic of Somaliland. The announcement was made on Monday (Oct 15) at a conference in Hargeisa, which was attended by representatives from Global Affairs Canada, members of Somaliland’s government, and representatives from UNICEF, WFP and FOA. 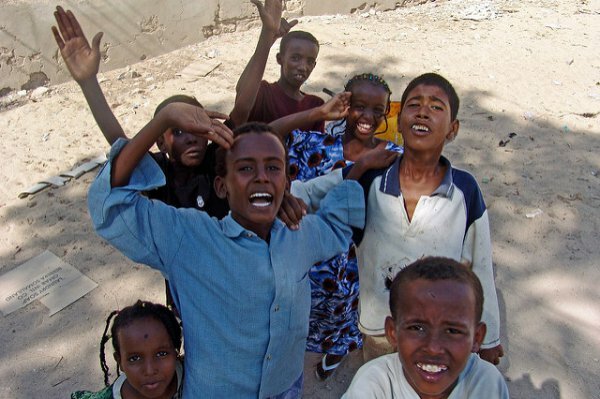 The project, which will focus on agricultural development and reducing child malnutrition, will run for 5 years and is expected to aid more than 1600 people living in the Togdheer and Daad-Madheedh regions, in eastern Somaliland. The funds will be allocated to the World Food Programme (WFP) and FOA (Food and Agriculture Organization). Earlier this year, Canada provided Somaliland with hundreds of thousands of dollars in humanitarian aid after Tropical Cyclone Sagar devastated Somaliland’s western regions. Tropical storm Sagar drenched the country with 300 mm of rain per hour and pounded the coastline with winds reaching up to 120km/h. The cyclone killed at least 25 people. Although Canada doesn’t recognize Somaliland’s independence, the country’s Liberal government headed by Prime Minister Justin Trudeau is taking a different path than his predecessors and is stepping up Canada’s engagement in Somaliland. Sara Hradecky, Canada’s High Commissioner to Kenya, Rwanda, Burundi, South Sudan and Somalia paid a visit to Somaliland in February 2018. Hradecky’s visit to Somaliland was the first time a senior Canadian diplomat has ever visited the country. Canada’s sizeable Somalilander community, which is estimated at around 30 thousand, believes the time has come for Canada to strengthen relations with Somaliland. Ayadi Ibrahim, Executive Director of CSAC (Canadian Somaliland Affairs Committee), welcomed Canada’s donation and stressed the importance of stronger relations, in a statement sent to The National on Friday. “CSAC thanks the Canadian Government and the Somaliland Government for their constant and unwavering support. At CSAC, our main endeavour is creating a stronger Canadian Somaliland diaspora. On top of that; Our key objective is creating a strong, conducive link between the Somaliland Government and the Canadian Government. We believe Somaliland is an island of freedom & democracy amidst a sea of tyranny” the statement read. Canada should think twice about their relationship with Somalia – since the latter is starting to show that it doesn’t appreciate all the help Canada has given them over the years. In August 2018, Somalia’s Foreign Ministry released a damning statement that supported Saudi Arabia’s decision to expel Canada’s ambassador and freeze trade ties. “The Federal Republic of Somalia makes it clear that it supports its brotherly Saudi Arabia’s decision against Foreign interference in its internal affairs,” the statement read. Time will tell if Canada will fearlessly move to strengthen ties with Somaliland, or if they will continue to respect Somalia – a nation that believes aid from Canadian taxpayers is a right, not a privilege.